In the early stages of exploring the inbound marketing system and generally getting your head around what it can do, the whole thing can be a bit complex to figure out. Funnily enough, HubSpot themselves can get so wound up in all of their own jargon that they often make very little sense in explaining the product. To save you time, stress and possibly some hair, we've put together this simple guide on HubSpot’s components and capabilities to help you work out exactly what you do and don’t need if you’re considering signing up. At this point, we’d like to mention that while we are a HubSpot Gold Partner and use the system ourselves, we are by no means married to HubSpot and realise that the system isn’t right for everyone. On that note, if you’d like a chat about HubSpot (or anything else business-related for that matter) please feel free to get in touch and we’ll be more than happy to give you some advice. Wondering if HubSpot is even the right system for you? Make sure you read this article next. There are 5 main components of HubSpot known collectively as the ‘Growth Stack’ (we know, how American). Now, we know you haven’t got time to learn about every single bell and whistle HubSpot has to offer - it’s too big a system and you’re too busy for that. Well, for the same reasons, we haven’t got time to talk about it all either, so we’ve taken the liberty of summarising the best the system has to offer below. Before we go into that, be sure to subscribe to our blog in the box below to get more great content, straight to your inbox on HubSpot, business strategy, marketing and sales. Let’s start with the free stuff. No matter whether you’re selling products or services, B2B or B2C, you need a CRM. 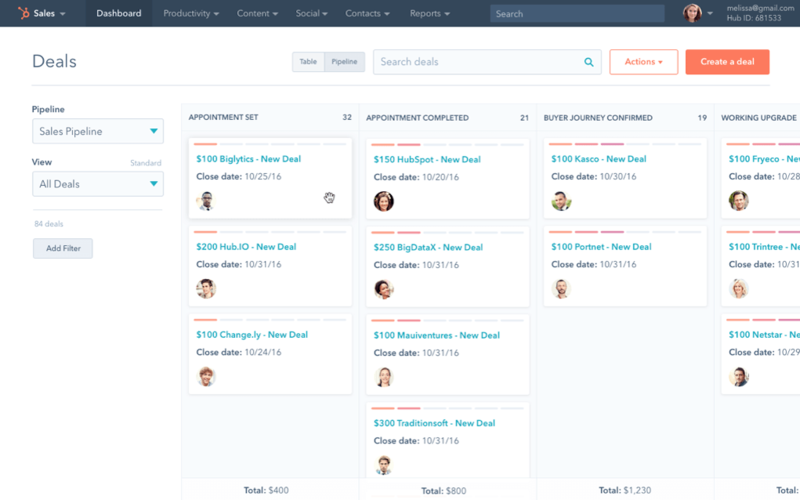 HubSpot’s CRM includes a very clean visual dashboard of your entire sales funnel, allowing you to view deals won and lost, scheduled appointments, proposals sent and much more. HubSpot also automatically tracks all contact interactions and saves them in one record card, making it as easy as possible to go through their history and build up a picture of the position they’re currently in. You can even sync HubSpot CRM with your emails to automatically capture every email you send or receive. 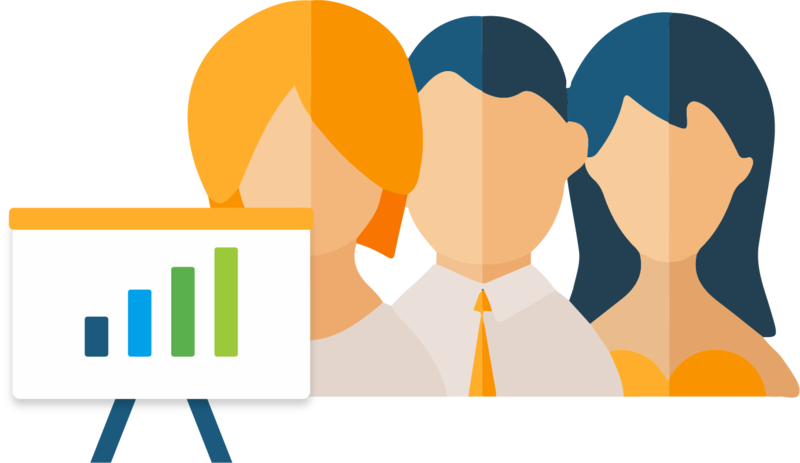 All-in-all, the HubSpot CRM is simple, effective and easy to pick up for any salesperson, no matter how traditional their approach. Some businesses do need more complex systems, though. If you’re an eCommerce business, for example, the HubSpot CRM simply isn’t for you. In our experience, the ease of use and the huge benefits means it’s adopted by even the most admin shy of sales teams, though, which is a huge plus. But as we say, it’s free. Sign up for it, have a play, see if it’s right for you. When it comes to the Marketing Hub, you’ve got 3 options: Starter, Professional and Enterprise. This is the entry level to HubSpot’s paid platform. It’s significantly cheaper than the other packages and while it lacks some of the rich functionality we love about HubSpot, it gives other marketing platforms a bit of a kicking. Emails: ability to create and distribute emails with the option to add some basic levels of personalisation. There are limits to the number of monthly sends and the helpful design manager function that's included in the other packages isn’t included in HubSpot Starter. Lists: the ability to segment your contact data into different lists for targeting is much more intuitive than other systems. In the likes of Campaign Monitor, Dotmailer and MailChimp, you still need to use Excel to build your lists if you want to retarget people based on their previous activity (i.e. resend an email to everyone who didn’t open the first time). With HubSpot however, the ability to create and edit lists is so advanced that Excel isn’t needed whatsoever, cutting down your admin time (and excel-related frustrations) significantly.HubSpot also allows you to create Smart Lists, which automatically adds and removes contacts based on your criteria for the list - very clever stuff. Forms: These are the crux of inbound marketing and allow people to sign up, contact you or download a piece of content, instantly being put into lists (as mentioned above) as a result. These can be created in HubSpot and added to your site pages or HubSpot tracking code can be added to any existing forms you have. This ensures all data captured is held in one place and can be tracked. Conversations: if your business communicates with customers and prospects across lots of different channels, you might find conversations useful. From emails to social chats, all conversations can be pulled into one inbox so you have full transparency of all communication with all of your contacts. Live chat: With 44% of online consumers stating that having their questions answered in real time is one of the most important features a website can offer (Inc), the live chat function is a real bonus for many businesses and is a great feature to add to your website. Dashboard: Fully customisable, the HubSpot dashboard allows you to pull in all of the key data you want to see on your marketing performance, making it quick and easy to see what’s going on across the whole spectrum of your strategy. Now we’re talking. The professional version of the Marketing Hub is where HubSpot comes into its own. This is the most popular package - and for good reason too. It’s a significant jump from Starter, but so is the level of functionality. However, you can wave goodbye to other expensive systems such as your CRM subscriptions, tracking software packages and social monitoring tools as HubSpot Professional does it all (and more). 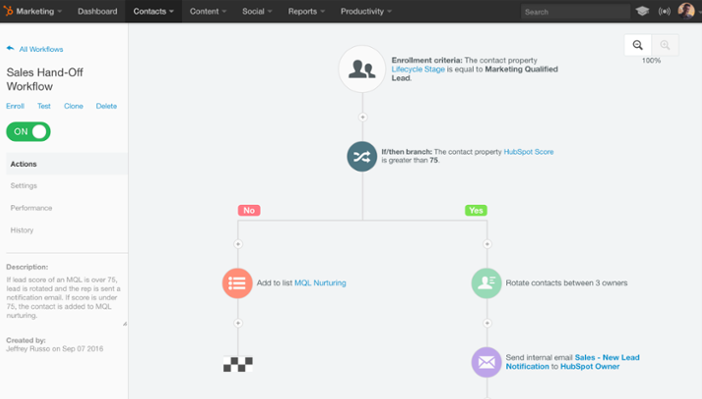 Email Marketing Automation: in HubSpot Professional, the email functionality is supercharged. The biggest difference is that it enables behaviour based workflows to be created. You might for example send out an email which encourages people to download a guide on your services. 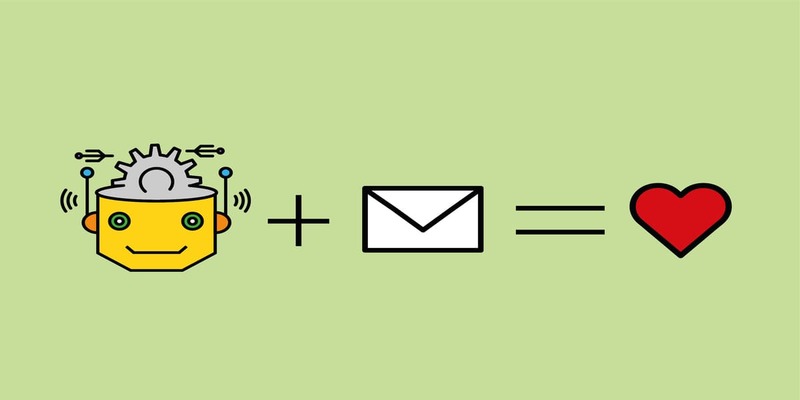 If the recipient does download, you can then have them automatically entered into a workflow of emails as a follow up. Some can be personal emails as though they’ve come from you, others can be marketing emails with links to related case studies and pages on your site. This is incredibly powerful. Not only does this allow you to ensure a prospect is being educated in the exact way you want them to be, they’re also being warmed up beyond the normal level simple outbound sales would offer. Lead Scoring: HubSpot Professional automatically gives contacts a score based on their behaviour; the higher the score, the warmer the lead. When each prospect hits a specific score (which you can set), you can have a notification email sent to the relevant salesperson. Those contacts who achieve this score will be engaged, warm and ready for a call. Beautiful. Content Planning: knowing what content to send is often a challenge for businesses. The in-built content planning tool helps you to start with the kind of topics you think your audience will be interested in and then plan out content title ideas. As well as this being great for email marketing, this is also a great tool to look at when planning your SEO strategy, making sure you cover all bases when it comes the keywords you want to rank for. Social Media: HubSpot Professional enables you to schedule and publish social updates across your social platforms, which might not sound revolutionary, but the fact you can share new articles and pages in just one click without having to write a thing makes the whole process fast and hassle free. Competitors: This is a lovely little tool for doing a bit of competitor spying. You can get insight into your competitors’ activity by adding in up to 10 competitors to track within HubSpot. Website Enhancements: In addition to the form functionality available in the starter package, HubSpot Professional has additional website based functionality including. Regardless of what technology your website is currently built in, HubSpot Professional allows you to manage your blog, create landing pages and make Call-to-Action (CTA) buttons in HubSpot and integrate them into your existing website. There is also an in-built SEO tool which gives tips on how to improve your blog pages from an SEO perspective. The drag and drop template builder is easy to use and having these pages in HubSpot means visitor behaviour can be tracked and recorded. HubSpot Enterprise, as the name suggests, is for large organisations. The jump in price to is steep, but the main benefit of HubSpot is that you can create and manage multiple websites - from one place, making it great value is you have multiple sites. This removes the headache many website owners face when managing multiple sites and domains. Of course, the Enterprise version includes all the good stuff from the Professional version, with the added benefit of extra custom reporting. Saying that, unless your business has the need for multiple websites, Professional is still the best option in our opinion. HubSpot Sales Hub has all the features of the free CRM plus some additional functionality that can be a huge, huge benefit to any sales team. The sales teams we work with (including our in-house business developers) love this functionality as it does the large majority of the admin work for you, saving a serious amount of time and leaving your sales team to actually sell. 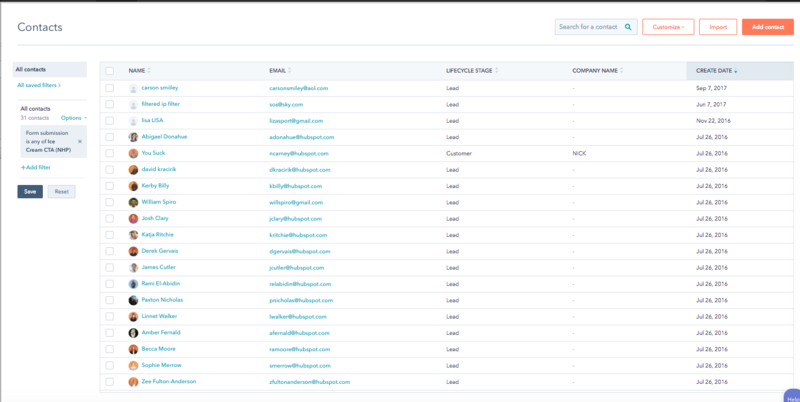 Email tracking: With the email tracking function in HubSpot Sales Hub, you can track your emails and get notifications when they have been opened or clicked. This gives your sales team the insights they need into when to call, when to chase up and when to leave things for a while. Email templates: If you tend to send a few standard emails and have to spend time digging them out and copying them across from the last person you sent it to, the email template function will be a great little feature for you. You can save email templates in your email account, which will then be readily available in your email account. Whether it’s an introduction email or a follow up, this feature makes sales emails quick and easy to send. Sales Document: Saving all your sales documents in HubSpot and sharing them via email or unique links is hardly revolutionary. But using this feature means you can get notifications when they have been opened, as well as exactly which pages your prospect has viewed and for how long. This can be a bit of a nervy experience to be honest and sometimes, ignorance is bliss. And let’s face it, everyone just goes straight to the costs anyway. Phone calls: Not only can you make calls at the click of a button, you can also record them in HubSpot, making it very easy to go back and see what was said afterwards as a reference point in case your pesky clients start making things up, as a way to go back and improve your calls, or, if you’re anything like my ex-girlfriend, just to listen to the sound of your own voice again and again and again. 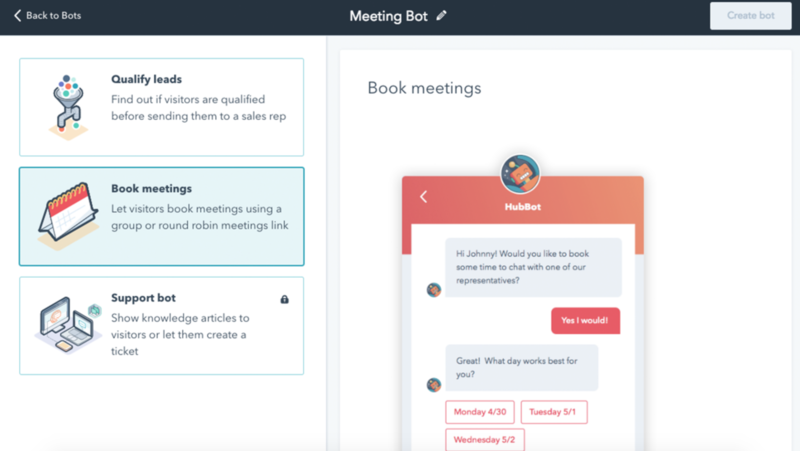 Meetings: Each sales user will get an individual link for people to book calls and meetings with them. Those meetings then go straight into your calendar along with a notification into your inbox. Here’s an example of my meeting calendar. If you’d like a chat about our services and are looking to grow the business, by all means, book yourself in. HubSpot Service Hub is similar to HubSpot Sales Hub - but has additional functionality that is perfect for businesses who offer a support function. It’s worth noting that most of the functionality below requires users to have a HubSpot Marketing Hub Professional Licence. Customer satisfaction: Deploy surveys to gather feedback and build a better customer experience. Processes: This gives you the ability to automate your customer service processes with ticket routing, escalation and task creation. Knowledge base: Collate frequently asked support questions based on tickets into an external knowledge base that can help your customers without having to log a ticket/call support. Ticket status: Track the status of support tickets and define your own sets of stages for each service process. As an agency we’ve worked with many different Content Management Systems (CMS). Some good, some bad….and then there’s HubSpot CMS. It has everything you’d expect from a high end CMS, with drag and drop template builders, SEO content checkers, the ability to categorise content, a file and image library and so on. Where HubSpot CMS comes into its own is its ease of use, its full integration with HubSpot Marketing Hub and most impressively, the ability to personalise a visitor’s experience based on information you have on them. Smart Content allows you to have different elements (text, images, forms etc.) show based on the user who’s on your site. If we know they are in the automotive industry, we can display content relevant to them. If we know they’re a sales director, we can display content relevant to their goals and challenges. You get the idea. The opportunities for personalisation are vast; it all relies on the content being available and the website being set up correctly. Done right though, Smart Content can have a significant impact on your conversion rates. Seriously impressive stuff. 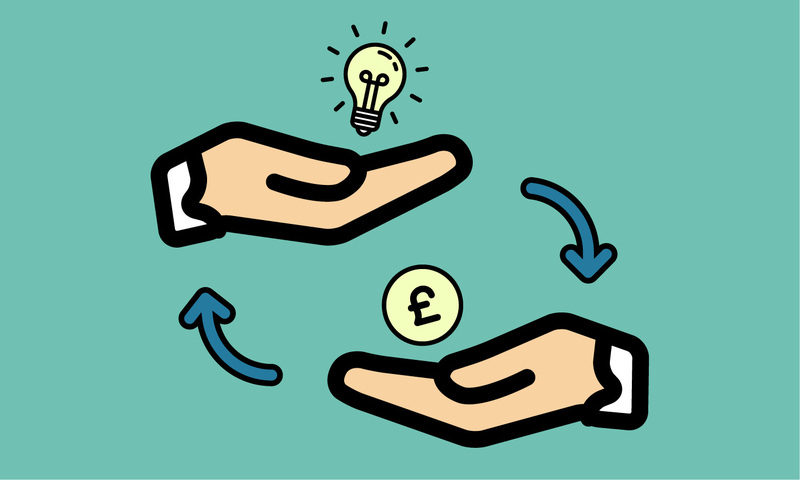 HubSpot CMS costs £245 per month which includes hosting and SSL certificates. 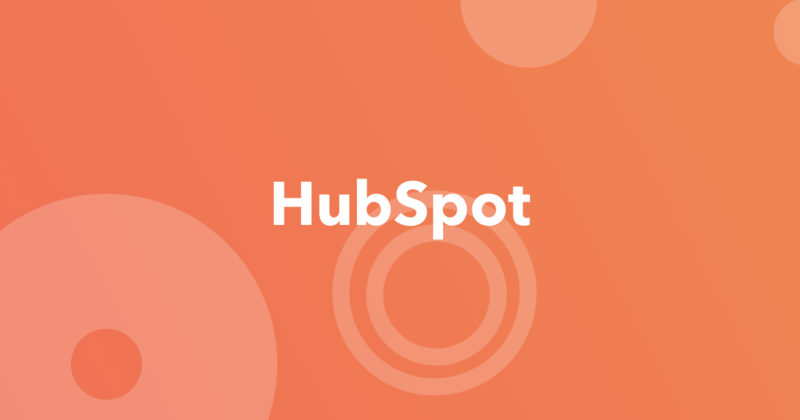 So there you have it, our sort-of-but-also-not-quite-comprehensive guide to HubSpot. If you’ve got any questions at all about the system, feel free to drop me an email directly (oliver@wearecatalyst.co.uk) and I’ll be more than happy to answer your questions. If you, like thousands of other business out there, are interested in using HubSpot to generate more leads, be sure to download our latest free guide below: How to Setup HubSpot for Lead Generation in 30 Days or Less.